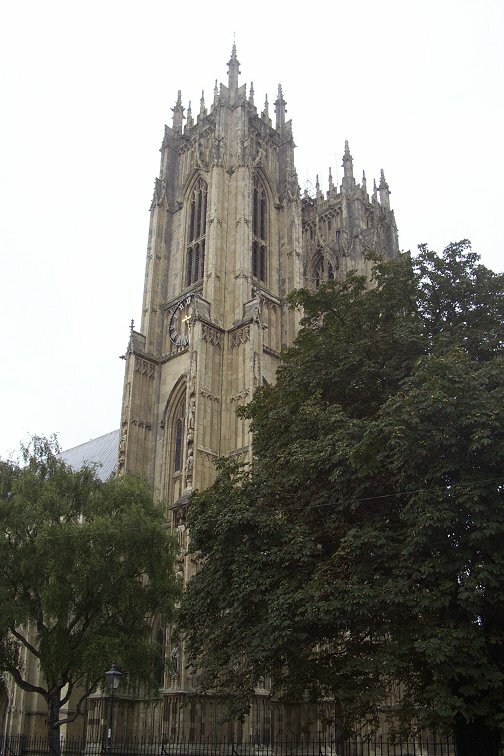 The minster church of St John & St Martin at Beverley in Yorkshire is an impressively large building (dating from the 13th century) with a suitably huge organ that can easily fill this mediaeval monument with sound - as three BOA members discovered when visiting for a Bank Holiday recital last month by John Scott Whitely, organist emeritus of York Minster. 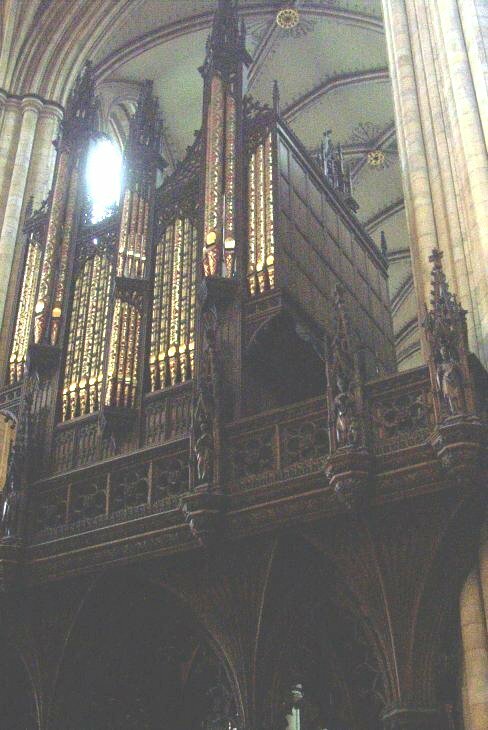 The organ began life as a more modest three-manual of 26 speaking stops by the famous Swiss builder John Snetzler in 1769. Over 15 Snetzler ranks survive in the present organ (as indicated in the specification). It has been enlarged over the years by various builders including Forster & Andrews, William Hill, and Hill, Norman & Beard. The latest rebuild, by Wood of Huddersfield, added a Vox Humana to the Swell and a Viola & Viola Celeste to the Solo, completing a remarkably comprehensive specification. 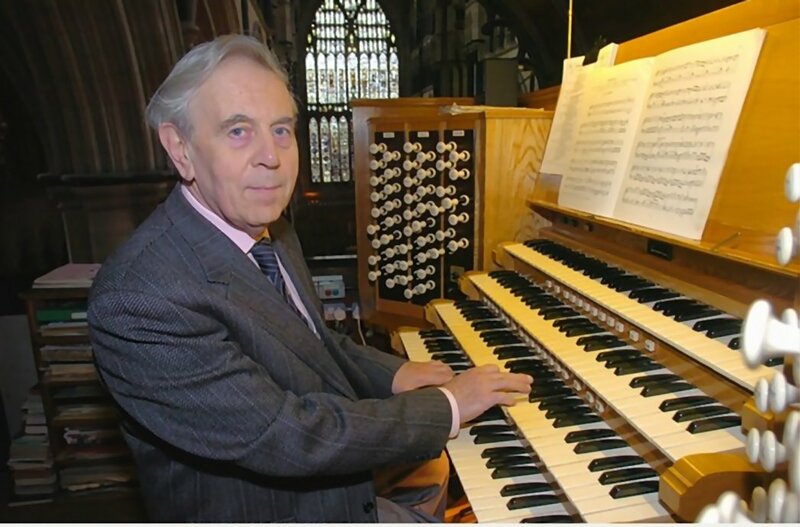 The central photo (from Hull's Daily Mail) shows seated at the console Dr Alan Spedding MBE, the Minster's organist for 42 years and also music master at Beverley Grammar School, who died earlier this year. Dr Spedding had much involvement with the IAO, including as Associate Editor of Organists' Review.